Have you ever searched for a product or service and next thing you know, you see ads for that same thing every time you visit a website? Maybe you’re researching a vacation and suddenly your Facebook newsfeed is bombarded with advertising for hotels. It’s no coincidence – and no, it’s not Facebook or Twitter spying on you, either. What’s actually happening is called retargeting. When you visit a website, a small piece of coding follows you around the Internet to various websites and even Facebook. That coding identifies you as someone who has expressed interest in a site or product by virtue of your visit and a network of sophisticated programming shows you, a potential customer, that ad. 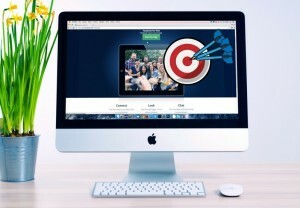 Retargeted ads are an effective tool in reaching target audiences and an important piece in a comprehensive digital strategy. Interested in learning more about how retargeting ads can help your organization? Contact Thomas/Boyd Communications to hear more about digital tactics we can provide to help you increase your reach and drive engagement.